August 15, 2016 by Ken Ward Jr.
Rank-and-file members of the United Mine Workers of America voted Friday to approve a proposal for a new contract with the Bituminous Coal Operators Association, whose major member company is Murray Energy. According a statement issued by the UMW, 60.3 percent voted in favor of the new collective bargaining agreement at six Murray Energy mines in West Virginia and Ohio. Murray has previously warned that finalizing a new contract with the UMW is a crucial part of his company’s plan to avoid financial default, and has hinted that without a deal he might consider bankruptcy court protection. 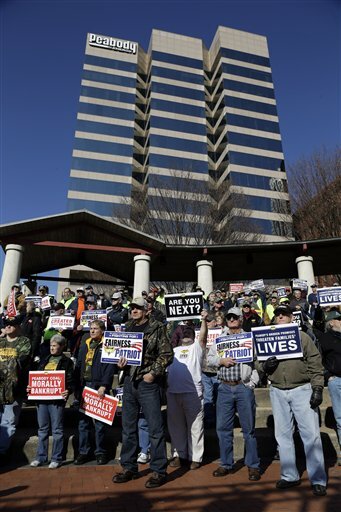 While the UMWA membership earlier this summer voted down an earlier contract proposal, the last thing union leaders want is to face a Murray Energy bankruptcy that would certainly not help their current battle to preserve union pensions and health-care benefits. This was a tough vote for our members to take. The coal industry is in a depression and more than 50 companies have filed for bankruptcy in the last few years. Thousands have been laid off. The pressures on those who are still working are tremendous and growing. But despite all that, our members took a courageous stand by voting to try to keep their company operating while maintaining the best wages, benefits and working conditions in the American coal industry. This is a good day for Murray American’s UMWA-represented employees, as this agreement will go a long way toward ensuring that our coal mines can keep operating, and our employees working, even in the current depressed coal marketplace. September 15, 2014 by Ken Ward Jr.
Just 15 years ago, PMF was virtually eradicated, with a prevalence of 0.08% among all CWHSP participants and 0.33% among active underground miners with at least 25 years of mining tenure. 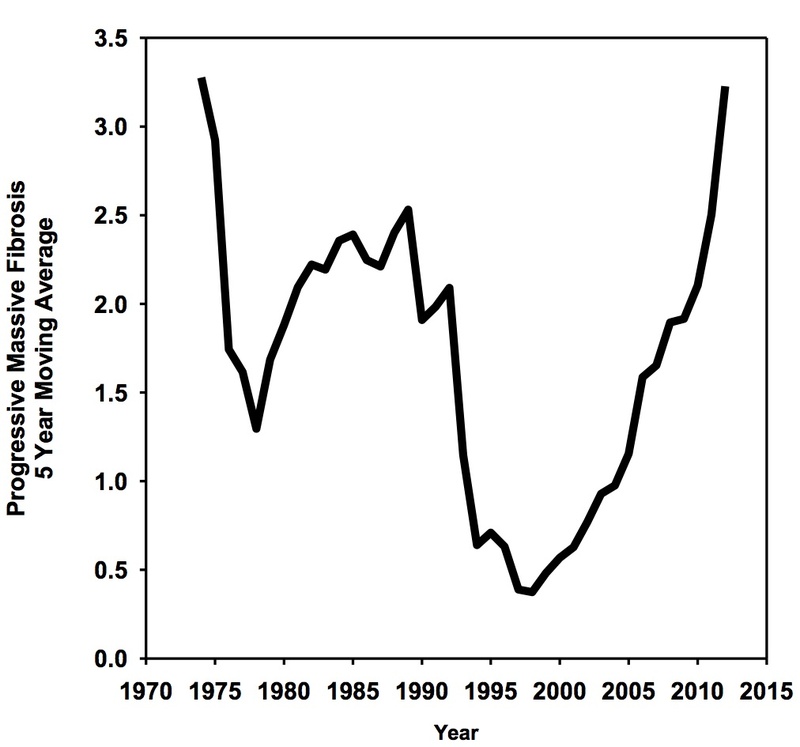 Since that time, the national prevalence of PMF identified through the CWHSP has increased; the rate of increase in the central Appalachian states of Kentucky, Virginia, and West Virginia has been especially pronounced. Excessive inhalation of coal mine dust is the sole cause of PMF in working coal miners, so this increase can only be the result of overexposures and/or increased toxicity stemming from changes in dust composition (2). During 1998 to 2012, NIOSH identified 154 cases of PMF among CWHSP participants, 125 of whom were long-tenured underground coal miners in central Appalachia. In 2012, the prevalence of PMF in this group of working miners reached 3.23% (5-year moving average), the highest level since the early 1970s. Each of these cases is a tragedy and represents a failure among all those responsible for preventing this severe disease. Campaigning on coal: Why aren’t W.Va. Democrats talking more about the black lung disease crisis? July 23, 2014 by Ken Ward Jr.
As I was writing this Wednesday morning, I’m listening in on today’s big U.S. Senate committee hearing on the federal Environmental Protection Agency’s proposal to reduce greenhouse pollution from coal-fired power plants. There was quite a lot of political theater, though, and my mind kept wandering back to yesterday’s Senate HELP Committee hearing about black lung benefits. Living with black lung is thinking about every breath you take. Policies and laws need to be changed to give hope and life to those who don’t have time for stall tactics. In an extraordinary rebuke to a doctor at one of America’s top hospitals, the U.S. Department of Labor has informed about 1,100 coal miners that their claims for black lung benefits may have been wrongly denied because of the actions of a powerful physician at the Johns Hopkins Medical Institutions, the department’s deputy secretary told senators Tuesday. That doctor, Paul S. Wheeler, systematically found that miners did not have black lung when, in fact, many of them did. Medical opinions by the doctor should be assumed not to be credible, senators and affected miners were told. What I couldn’t stop thinking about was why West Virginia’s political discourse doesn’t focus more on these black lung issues. Why aren’t Republicans here constantly asked why their party blocked for many, many months the Obama administration’s effort to enact new rules that would help eliminate black lung disease? Why don’t Democratic candidates like Natalie Tennant talk almost constantly about this terrible important issue, and the disgraceful way our nation has handled it? One of the most troubling aspects of the public debate over Black Lung disease is that many people believe it is a thing of the past – that somehow coal miners are no longer at-risk of developing the disease. The sad reality, however, is that the disease is very real and on the rise in coal mining communities throughout the country. In the 1970s, shortly after Congress passed the first major legislation to combat Black Lung disease, 6.5 percent of all active coal miners had the disease. By the 1990s, that number had dropped to 2.1 percent. But, in the 2000s, we saw the prevalence of Black Lung disease increase to 3.2 percent – the first increase of the disease in three decades. Between 1999 and 2009, almost every single region in the country saw an increase in the percent of miners suffering from Black Lung disease. Some areas in West Virginia, Pennsylvania, Virginia, and Kentucky are seeing rates as high as 9.0, 10.0, and even 13.2 percent. Sadly, research is showing that younger miners are now developing more progressive forms of the disease earlier in their careers. These findings were confirmed as part of the investigation into the Upper Big Branch disaster, which took the lives of 29 coal miners in West Virginia. Autopsies of 24 victims revealed that 17 of them, or 71 percent, also suffered from Black Lung disease. Even more alarming is that five of those victims with Black Lung disease had been working for less than 10 years underground, including one miner who was only 25 years old. So, while the explosion that took their lives did so almost instantaneously, another disaster, hidden from view, was taking their lives more slowly – but just as tragically. This rise in Black Lung disease is unacceptable. Congress and the Administration have a solemn obligation to provide coal miners with every protection from this debilitating, incurable, but preventable disease. That is why I was proud to join Secretary of Labor Thomas Perez in West Virginia in April to announce the finalization of new rules that – for the first time in 40 years – will lower coal miners’ exposure to the respirable dust that causes Black Lung disease. The Administration should be commended for taking this major step forward. With strong enforcement and implementation, these rules will undoubtedly save lives and improve the quality of life for current and future generations of coal miners. What is so notable about the science linking mountaintop removal to elevated death rates and poor health outcomes in nearby communities is not the strength of any individual study, but rather the enormous quantity of data from independent sources that all point toward dramatic increases in rates of disease and decreases in life expectancy and physical well-being. Despite this overwhelming amount of peer-reviewed scientific data, however, regulatory agencies in Appalachian states have so far refused to consider these new studies in assessing the impact that permitting new mountaintop removal mines could have on the health of nearby residents. May 12, 2014 by Ken Ward Jr.
After extensive review, the United Mine Workers of America (UMWA) today announced its qualified support of the Apr. 23, 2014, final rule issued by the Mine Safety and Health Administration (MSHA) regarding controlling respirable dust in coal mines. This is a step forward in the fight to end black lung,” UMWA International President Cecil E. Roberts said. “While there are many things in this rule we are pleased to see, there are some that we are not. We hope that, as the stakeholders move forward in understanding and implementing this rule, we can get more clarity from MSHA as to how it will actually be applied and enforced in an active working coal mine environment. Roberts said that the union approves of many parts of the rule, including lowering the standard for respirable dust from 2.0 milligrams (mg) to 1.5 mg per cubic meter (m3) of air. “Our analysis of MSHA sampling over the past several years at underground mines where we represent the workers shows that the dust in the atmosphere on the longwalls at those mines was out of compliance with the 2.0 mg/m3 standard less than five percent of the time,” Roberts said. “That same analysis leads us to believe that the operators of those mines won’t have a very difficult time in meeting the 1.5 mg/m3 standard. The UMWA also is pleased that dust sampling will be done at a production rate of 80 percent instead of 50 percent. This will force operators to keep their equipment and dust control mechanisms, including ventilation, water sprays and cutting bits operating at maximum efficiency. Under the new rule, dust samples will be taken over the full shift a miner actually works, where previously the sampling was only done for eight hours even if a miner worked a longer shift. “Most miners today are working 10- or 12-hour shifts, meaning that under the existing rule, we don’t know how much dust a miner is actually exposed to while he or she is working,” Roberts said. “The full shift sample will give us that data. Along with the real-time reading of dust exposure that will be available to the miner with the deployment of the new continuous personal dust monitor (CPDM), we believe that these provisions will enable miners to be empowered to have more control over their health and safety within the work environment,” Roberts said. “That’s important in any mine, but for those nonunion miners who do not have the protections of a union safety committee at their mine, these provisions could be even more significant. The union also supports language in the rule that prohibits operators from using “administrative controls” such as respirators; “airstream” helmets, which provide a constant supply of filtered air to a miner via a plastic face shield; or moving miners out of production areas of the mine to meet the 1.5 mg/m3 standard. This means that operators will have to meet the standard through proper environmental controls, such as ventilation and properly maintained equipment. The UMWA has received multiple inquiries from the media, industry representatives, government officials and mine safety advocates regarding our views of the respirable dust rule issued by the Mine Safety and Health Administration (MSHA) last week. We appreciate that interest, and we recognize our responsibility as the representative of workers in the coal industry to make our position known. The rule as issued by MSHA is 991 pages long. We are reading all of them, and we encourage those who want to fully understand what the rule does and does not do to read the full text as well. We are engaging in vigorous discussions and data research at our offices in an effort to completely understand how the many parts of this rule will be applied in the workplace. All too frequently in these situations, what’s written on paper turns out to be different from what we expected once it’s applied in the real world conditions of an active coal mine. We believe it is incumbent upon us, as the representative of miners, to give our members the best and most complete information we can about what this rule will actually mean for them, and we intend to do that prior to making a public statement about it. April 22, 2014 by Ken Ward Jr. The U.S. Department of Labor’s Mine Safety and Health Administration will announce a major step forward in the department’s End Black Lung – Act Now! initiative on Wednesday, April 23, at the National Institute for Occupational Safety and Health facility in Morgantown, W.Va. U.S. Secretary of Labor Thomas E. Perez, Assistant Secretary of Labor for Mine Safety and Health Joseph A. Main, NIOSH Director John Howard and others will discuss the release of a final rule to lower miners’ exposure to respirable coal mine dust in all underground and surface coal mines. The website for the White House Office of Management and Budget indicates that officials there finally approved the rule — after eight months of review — on Monday. MSHA had proposed the rule back in October 2010, but miners’ health advocates have been calling for the tightening of the coal dust rule for many years — and action on the issued had been stalled for years by administrations from both political parties. February 25, 2014 by Ken Ward Jr.
Coal miners sick with black lung disease should receive higher-quality medical reports and have a better chance to win benefits cases following a series of reforms announced Monday by the U.S. Department of Labor. The initiatives, effective immediately, represent an attempt by the Labor Department to create a more level playing field for coal miners navigating a byzantine federal benefits system that often favors coal companies and the lawyers and doctors they enlist. The new measures include a pilot program that would provide some miners with an additional medical report, instructions to government lawyers across the country to intervene in some appeals and increased training for doctors and government officials. 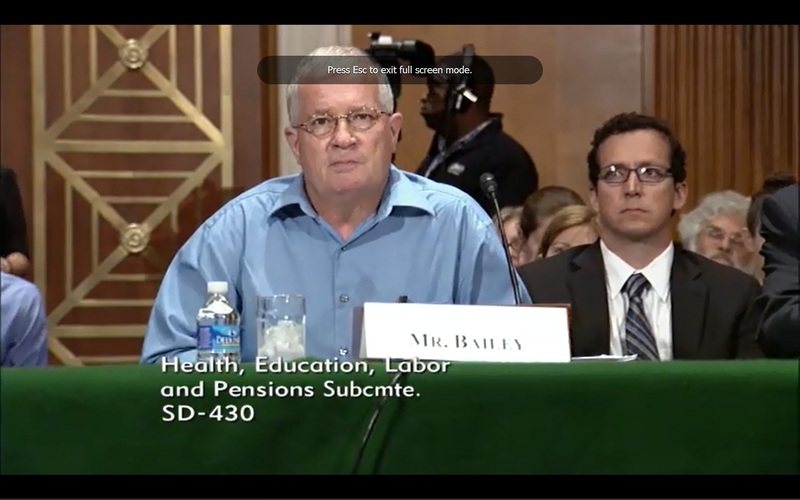 Sen. Jay Rockefeller, D-W.Va., called the Labor Department’s initiatives “a step in the right direction,” and Rep. George Miller, D-Calif., said they were “a good first step toward leveling the playing field.” Both noted, however, that only some miners qualify for them and called for further action. It’s worth remembering that the labor department rules aimed at ending black lung disease, proposed by the U.S. Mine Safety and Health Administration, are still under review by the White House Office of Management (an agency run by West Virginia native Syliva Mathews Burwell). The MSHA proposal has been stuck at OMB since August. November 7, 2013 by Ken Ward Jr.
Today, two members of Congress asked the Department of Labor’s Inspector General to investigate claims surfaced in news reports from the Center for Public Integrity and ABC News that some doctors and attorneys working on behalf of the coal industry have engaged in misconduct that has resulted in coal miners being improperly denied health-related benefits and compensation under the federal Black Lung Benefits Program. 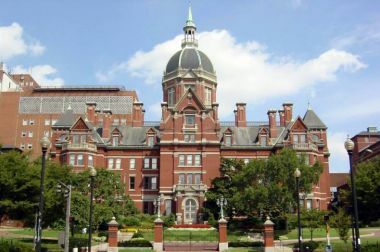 The Center for Public Integrity and ABC News investigation revealed how dubious medical opinions from doctors at Johns Hopkins Hospital have helped coal companies thwart efforts by ailing mine workers to receive disability benefits. The report also suggested a pattern and practice by attorneys at the Jackson Kelly law firm, which compromised the integrity of the black lung benefits program and potentially tainted numerous decisions adversely affecting coal miners and their survivors. You can read the Center’s stories online here, and here’s a link to the letter to the Inspector General. November 4, 2013 by Ken Ward Jr.
Hopkins Hospital, photo via Wikimedia Commons. Johns Hopkins Medicine has suspended its black lung program pending a review in response to a Center for Public Integrity-ABC News investigation revealing how medical opinions from doctors at the prestigious hospital have helped coal companies thwart efforts by ailing mine workers to receive disability benefits. Hopkins’ decision came as United States senators from coal country announced they have begun working on new legislation to address “troubling concerns” raised in this week’s reports. Rockefeller called the treatment of coal miners a “national disgrace” in an interview with ABC News. You can read the entire Johns Hopkins statement here. The initial stories by the Center for Public Integrity and ABC New are here and here. November 1, 2013 by Ken Ward Jr.
For almost two decades, his breathing has been so bad he’s been considered totally disabled. Even his former employer, the coal giant Consol Energy, does not dispute those points. Nineteen years after he first filed for federal black lung benefits, however, his case remains unresolved. What’s really causing his impairment, doctors testifying for Consol contend, is a completely different and unrelated disease. To win his case, the former miner must show that his disability is caused by black lung. Though parts of his lungs show the dark nodules typical of the classic form of black lung, all doctors agree that his biggest problem is elsewhere, in the parts of his lungs that show severe scarring with a different pattern. His case file, spread in piles, covers a conference table, but all of the medical reports, depositions, hearings, briefs and rulings center on one question: What caused the abnormal scarring that has consumed large portions of his lungs? Since Latusek first filed his claim in 1994, research increasingly has shown that coal and silica — the toxic mineral in much of the rock in mines — can cause the pattern of scarring he has. Government researchers at the National Institute for Occupational Safety and Health (NIOSH) and the National Institutes of Health (NIH), as well as other independent doctors, have linked the pattern to coal mining. Yet, while other variants of black lung are defined explicitly in Labor Department regulations, Latusek’s form is not, and doctors paid by the coal industry continue to testify that there is no evidence of any connection between mining and this form of disease. This leaves the complex medical issue to be argued case by case in the benefits system, which is often ill-equipped to address emerging science and typically favors coal companies and the well-paid consulting doctors they enlist. Part 2 of the Center for Public Integrity’s remarkable expose on the black lung benefits process, “Breathless and Burdened,” is out this morning. And as the headline explains, it focuses on the medical unit at Johns Hopkins University which — in its work for coal companies — rarely finds black lung disease, helping the industry to defeat miners’ claims for federal benefits. What has remained in the shadows is the work of a small unit of radiologists who are professors at the medical school and physicians at the hospital. 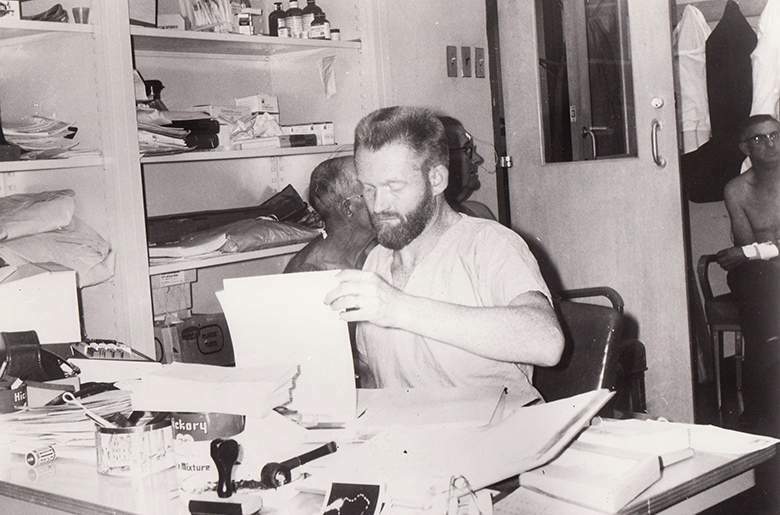 For 40 years, these doctors have been perhaps the most sought-after and prolific readers of chest films on behalf of coal companies seeking to defeat miners’ claims. 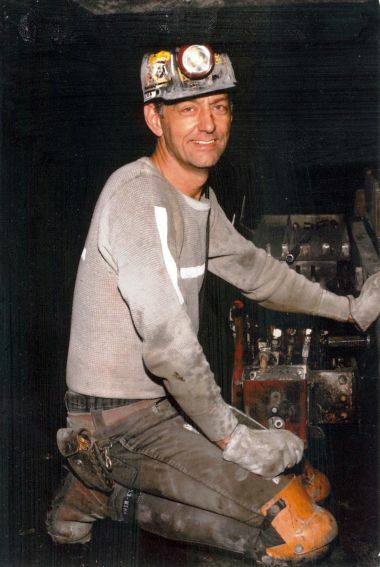 — In the more than 1,500 cases decided since 2000 in which Wheeler read at least one X-ray, he never once found the severe form of the disease, complicated coal workers’ pneumoconiosis. Other doctors looking at the same X-rays found this advanced stage of the disease in 390 of these cases. — Where other doctors saw black lung, Wheeler often saw evidence of another disease, most commonly tuberculosis or histoplasmosis — an illness caused by a fungus in bird and bat droppings. This was particularly true in cases involving the most serious form of the disease. In two-thirds of cases in which other doctors found complicated black lung, Wheeler attributed the masses in miners’ lungs to TB, the fungal infection or a similar disease. — The criteria Wheeler applies when reading X-rays are at odds with positions taken by government research agencies, textbooks, peer-reviewed scientific literature and the opinions of many doctors who specialize in detecting the disease, including the chair of the American College of Radiology’s task force on black lung. — Biopsies or autopsies repeatedly have proven Wheeler wrong. Though Wheeler suggests miners undergo biopsies — surgical procedures to remove a piece of the lung for examination — to prove their cases, such evidence is not required by law, is not considered necessary in most cases and can be medically risky. 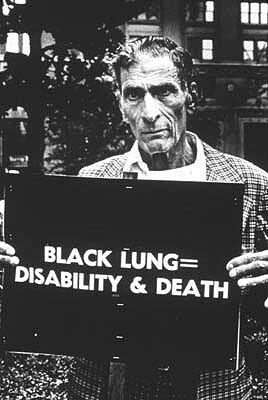 Still, in more than 100 cases decided since 2000 in which Wheeler offered negative readings, biopsies or autopsies provided undisputed evidence of black lung. October 29, 2013 by Ken Ward Jr.
Today, lawyers for the family of deceased coal miner Gary Fox will go before the 4th U.S. Circuit Court of Appeals in Richmond, Va., to argue a key case over whether the law firm of Jackson Kelly committed “fraud on the court” in its efforts to fight Fox’s claims for federal benefits for black lung, the disease that killed him and still kills far too many Appalachian coal miners. Underlying the case is a core question: How can the system ensure that coal companies have a chance to defend themselves while also preventing miners — many of them sick, poor and trying to navigate a legal maze without a lawyer — from being crushed by the other side’s superior resources? The Labor Department tried to narrow the resource disparity in 2000 by issuing regulations limiting the amount of evidence both sides could introduce. This has stopped companies from overwhelming miners with dozens of interpretations of medical evidence. But it has not addressed the thorny question raised by the Fox case: Should lawyers be allowed to obtain medical reports from large numbers of experts, submit only the favorable ones and withhold the rest? 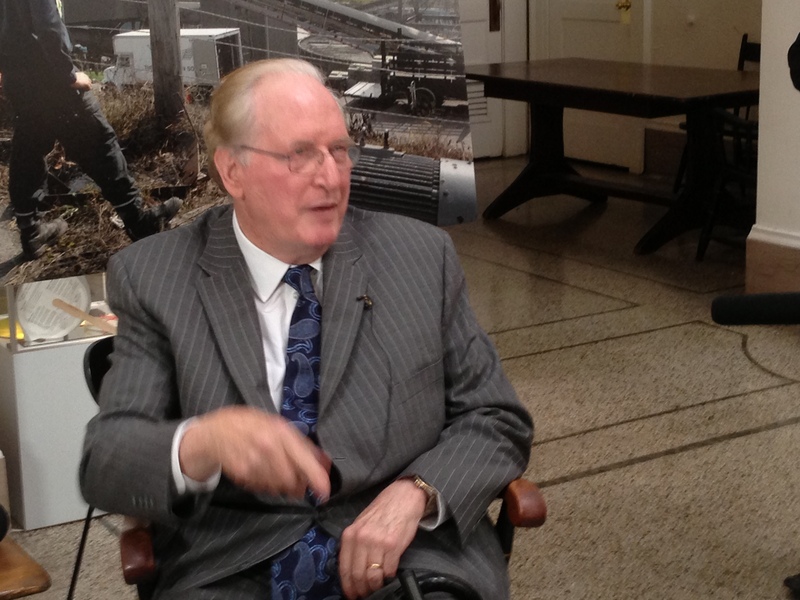 Sen. Jay Rockefeller, D-W.Va., on Thursday gathered black lung victims and miners’ health advocates to continue a push for the Obama administration to finalize a rule aimed at ending the deadly diseases. Rockefeller, D-W.Va., said he would rather see the U.S. Mine Safety and Health Administration finalize the rule on its own, without legislation that would face strong opposition from the mining industry. “There is such a power of the coal industry almost totally over one party in Congress and some in my own party that makes change through legislation very difficult,” Rockefeller told reporters prior to a black lung “roundtable” discussion in Bluefield. Rockefeller said that on Wednesday night he called the White House Office of Management and Budget to urge officials there to expedite their review of a draft final rule MSHA filed with OMB two weeks ago. This morning’s Daily Mail also had a nice front-page spread, with a story by reporter Zack Harold, leading with this important thought from Sen. Rockefeller: If coal companies cannot afford to protect miners from black lung disease, Sen. Jay Rockefeller says they should go out of business. Rockefeller complained the industry has done little to help foster compromise on dealing with climate change or to push efforts to find cost-effective ways to capture greenhouse emissions from coal-fired power plants. It was a potentially huge week for the many folks who have fought for years to try to end the deadly disease known as black lung, with the U.S. Mine Safety and Health Administration moving forward with its new rules by sending them over for White House approval. 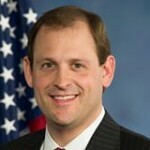 Republican U.S. Rep. Andy Barr of Lexington said many members of Congress have questions about the rules, including whether they would add burden and cost on coal companies that would far outweigh any benefit to miners. If companies cut employment because of regulatory costs, it does nothing to advance the cause of workers’ health, Barr said. 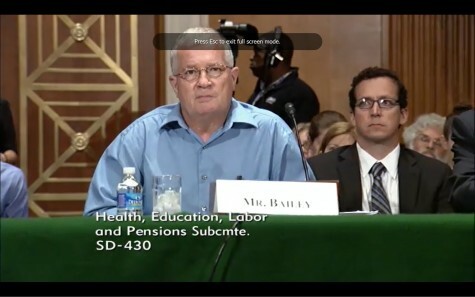 “Worker safety is a top priority, but not at the cost of putting that family in a very precarious financial situation,” Barr said. 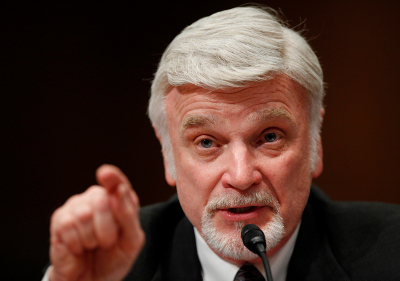 No one should get black lung, Barr said, but regulators need to strike the right balance. 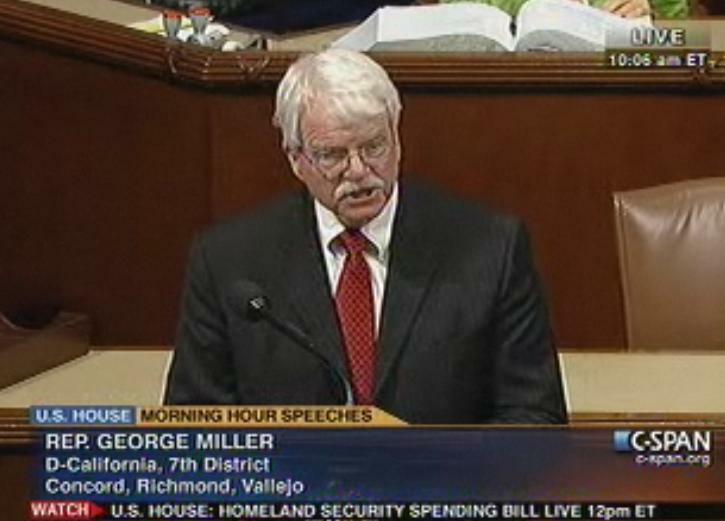 “Let’s make sure we’re not so overzealous that we put these people out of work,” he said of miners. I guess the question is … how many Kentucky coal miners should have to die from black lung? What’s an acceptable number that amounts to “balance”? It’s always fascinating how political leaders who profess to care so much about protecting coal miner jobs seem much less interested in protecting their health and their lives. MSHA estimated that the compliance costs for industry at between $72.4 million and $93.2 million the first year and between $40 million and $44.5 million each year after that. Agency officials put the annual benefits – from thousands of reduced illnesses and deaths – far higher: between $99 million and $197 million per year, depending on how the figure is calculated. August 22, 2013 by Ken Ward Jr.
There’s finally some action today by the Department of Labor’s Mine Safety and Health Administration regarding its long-delayed rules aimed at ending black lung disease. This notice on the Office of Management and Budget website indicates that MSHA sent its version of a final rule over to the White House yesterday … Now the question is how long will it take OMB — which is now run by West Virginia native Syliva Mathews Burwell — to move on this important rule? Recall that MSHA first proposed this rule way back in October 2010. More recently, U.S. Sen. Jay Rockefeller, D-W.Va., has been pressing the administration to act.